I think the opening for this second season is great…the first opening served the purpose of the first season, but I think this is a better song. The ending is nice, but doesn’t strike me as anything special. I’m surprised Taichi didn’t just tell everyone to leave when all the girls show up. I guess he’s not smart enough to notice? I thought you were better than that. Given the circumstances, I think he would have told everyone to leave if he had noticed. Either way, here’s hoping for another great season. Continuing on with the Master match, Suo is destroying his opponent, able to distinguish the habits of the reader to better determine the card she is reading. 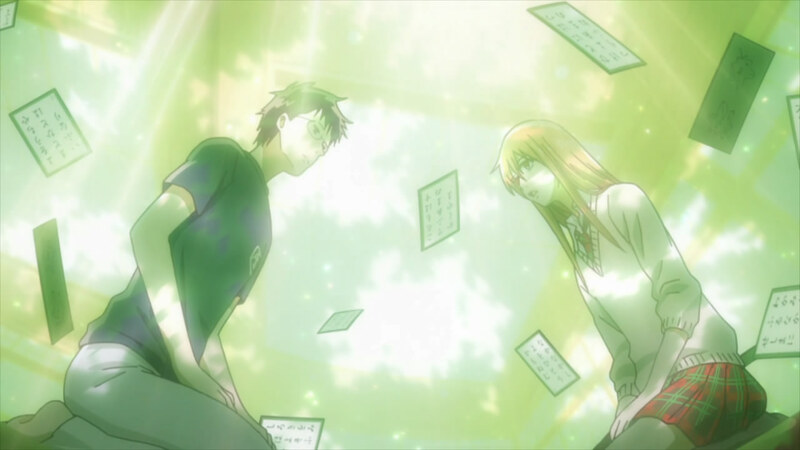 After the match, Tsutomu analyzes Chihaya’s play and concludes that she has 20 one-syllable cards, making her very similar to the Master with 28 one-syllable cards. Later, Kanade tells Chihaya about her goal to become a reader, but Chihaya tells her that she must first become a Class A player. Taichi has also become more determined after talking with Arata about the Master match. Meanwhile, the adviser Miyauchi is defending the karuta club at a faculty meeting, but they must get five new members to continue using the same room for their club activities. That ending was pretty expected. Everyone gains new determination for karuta after watching the Master and Queen matches, then the very end is tailored for another season…a sort of continuation style of ending. What worries me is that this ending could very easily stand by itself. While it’s not a bad ending, it makes it very easy for this show to be dropped and forgotten by producers…I wouldn’t mind seeing a second season. Also, I liked how Tsutomu and Taichi became at the end. It was cool to see. That being said, I didn’t really have a problem with any of the characters. But I’ll talk about that more when I review this show later. It was fun to blog about this and I hope you’ve enjoyed this show. It wasn’t the most stellar show in the world, but it was pretty solidly entertaining for me. So this week’s episode starts off with Chihaya going to Taichi’s house to watch the Master and Queen matches, joined soon by the rest of the karuta club. Despite winning the first game of the best of three, Shinobu’s game has become less sharp. However, in the second game, she starts to regain her normal speed and defeats Yumi soundly. It looks like they’re going to close the show out with the Master/Queen matches. I’m not sure if I liked how they approached Shinobu’s match, but it seemed to work. The real interesting part was the Master, Suo Hisashi, who was apparently toying not only with his opponent, but also Shinobu throughout the match. I guess the show aims to end with this sort of transition period in Chihaya’s game where she realizes where she really stands and what she really needs to work on. I was hoping for something a bit more unexpected in the ending, but I can live with this. It probably opens the way for more seasons in the near future. Anyway, next week ends it…should be fun. After Chihaya’s loss last week, she goes into a state of depression for a while. 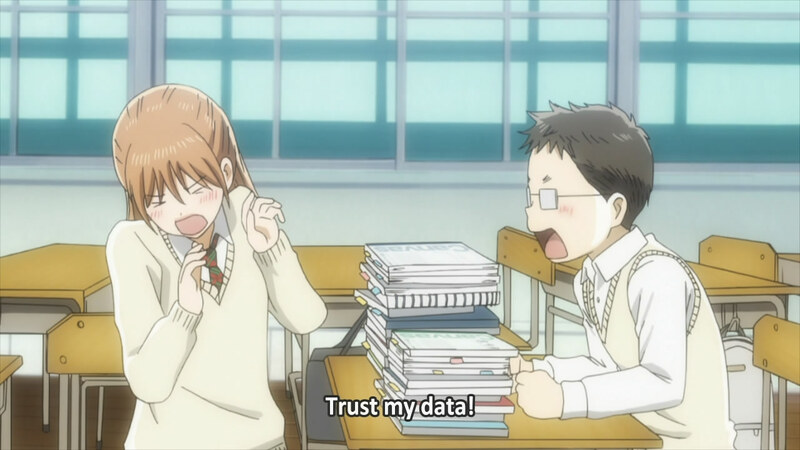 Meanwhile, Harada challenges Sudo to protect Chihaya’s hair and beats him. In the end, though, Harada is unable to make it to the finals, but Yumi wins on the Queen side. Arata also fails to win the West Qualifier. Yumi manages to win the Queen qualifier, but the West Qualifier wins on the Master side. 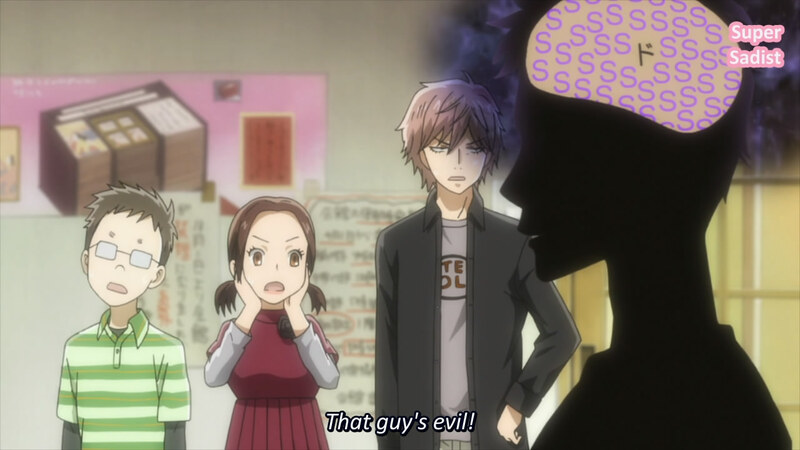 Poor Taichi…so obviously in love and so obviously jealous of people asking Chihaya out. It even looks like he’ll lose to Arata. I had assumed that this show was a typical show about a game like Hikaru no Go was because it allows for more seasons. However, what if it’s simply a romance? With Arata, Taichi, and Chihaya all knocked out, what if it’s simply a love story for Chihaya with karuta as the medium? If so, the end of this season may be a true end. It certainly makes me curious…I wonder how it will turn out. Two episodes isn’t enough for another buildup to a major tournament, is it? There has to be something. This week’s episode starts off with Chihaya being matched up against Yamamoto Yumi, the previous Queen in the Eastern Qualifiers. As the game starts, Yumi’s cards favor Chihaya’s style. Yumi has a self-deprecating attitude, questioning the point of even trying to face Shinobu again. 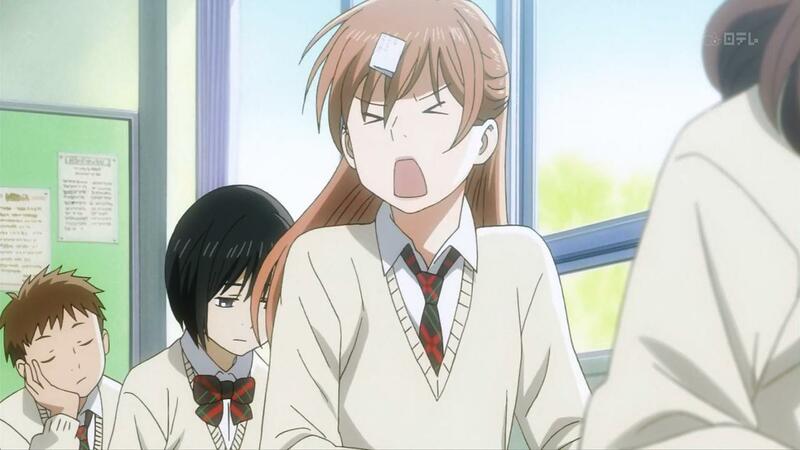 Chihaya notices Yumi’s lack of passion, and starts to attack relentlessly. Yumi’s coach opens the window to cheer Yumi on, and Yumi starts to play like she normally does. Chihaya starts to lose confidence and Yumi beats her. Interesting that Chihaya has lost already. I guess they plan to continue on with Arata or something. Not sure if I like that sort of ending, but it gives way for more seasons in the future, so I guess I understand. I supposed this is some kind of beginning where Taichi and Chihaya realize what they have to do to reach Arata and Shinobu’s level or something like that. 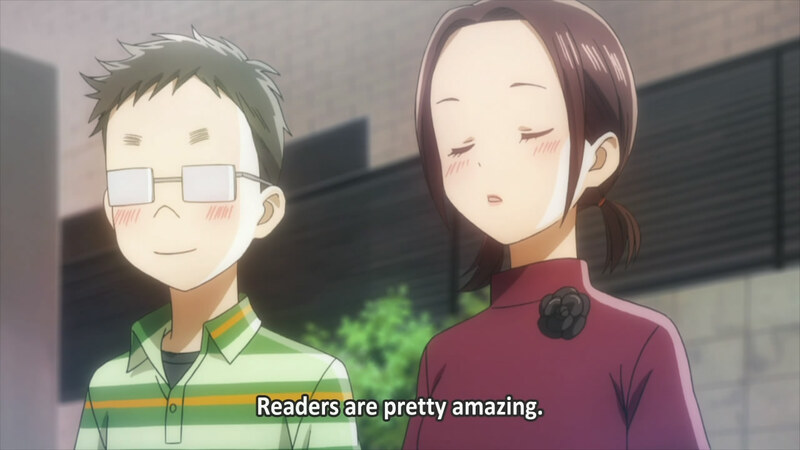 Also, that bit with Kanade asking about the readers…I feel like that suits her. 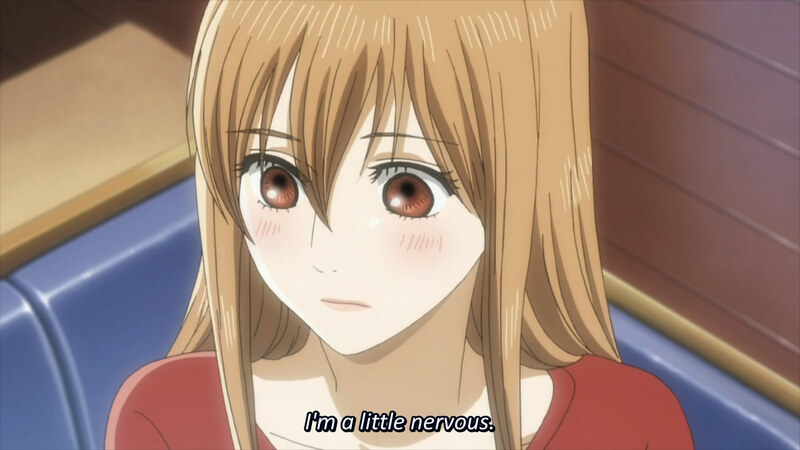 This week’s episode starts off with Chihaya striving to play like Arata did. Taichi also tries to improve by reading the cards all from memory (so epic). The day of the Eastern Qualifiers arrives. Chihaya’s first opponent ends up being a child prodigy named Ririka. Ririka takes an early lead with her speed, but Chihaya starts to come back by matching the reader’s timing. Harada decides to let Chihaya use her speed again, and she starts to out-speed Ririka, eventually winning the game. So I’m confused. Taichi refused to be Class A before, but he told Arata that he aims to be the East Master Qualifier. Does he mean later on or has he joined the competition in a way I didn’t notice? Don’t get me wrong. I want to see him go up against Arata, but it needs to make sense! He’s definitely still my favorite character…that memory is ridiculous. Anyways, this episode seems like a fairly standard “Chihaya is evolving” episode. We’re nearing the end, so epic face-offs are sure to come. This week’s episode starts off with Chihaya being forced to stay back and study for exams while Taichi goes to the last tournament before the Master/Queen qualifiers. Taichi is surprised to find Arata at the tournament as well. Arata’s presence ends up throwing Taichi off and he loses in the next round. 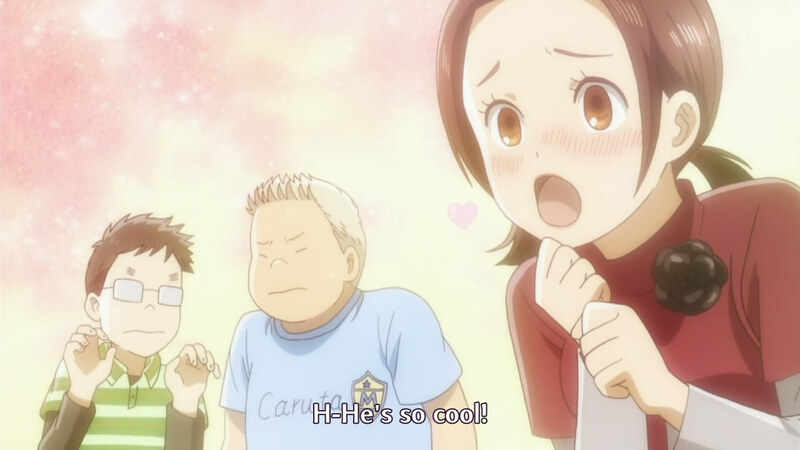 Chihaya ditches the study session to go see Taichi, and they both watch Arata play. Arata ends up losing, and he is forced to leave before he can talk with Chihaya too long. After the tournament, Harada offers to promote Taichi for his two second place finishes, despite it going against the society’s rules, but Taichi refuses. I had a tough time with this episode. While I figured Harada would make the offer to promote Taichi, I couldn’t be sure what would happen. Taichi’s character was telling me he’d refuse because of his natural maturity. Still, Arata vs. Taichi just seems like such a destined rivalry, so I was thinking he had to make it somehow. The Master qualifiers just don’t seem like they’ll be interesting if both of them aren’t going at each other. 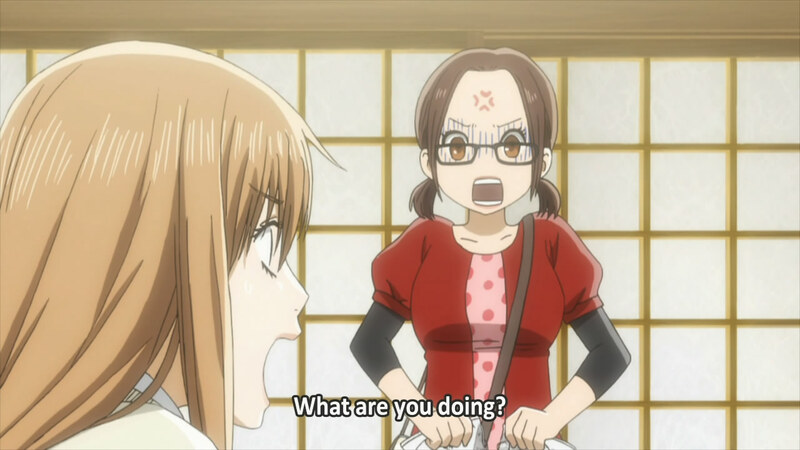 Chihaya’s still searching for some new technique for karuta, and she needs to find it already. We’re slowly approaching the end, which I’m assuming is the Master/Queen qualifiers. Back in the Kanade-Tsutomu match, Kanade gains a lead, which starts to make Tsutomu lose his cool. Tsutomu adopts a fairly reckless and luck-based strategy, which lets him lower the gap a bit, but Kanade wins nonetheless. Meanwhile, Nishida and Taichi are locked each on their final card. With defensive styles, the deciding factor becomes luck, but Taichi instead goes on the offensive. Despite this, Nishida’s card is read and Taichi loses. I didn’t really like Nishida and Taichi’s match, but I understand why it was put there. Taichi had everything analyzed and even tried to use that information to trick his opponent, but in the end he loses to luck. 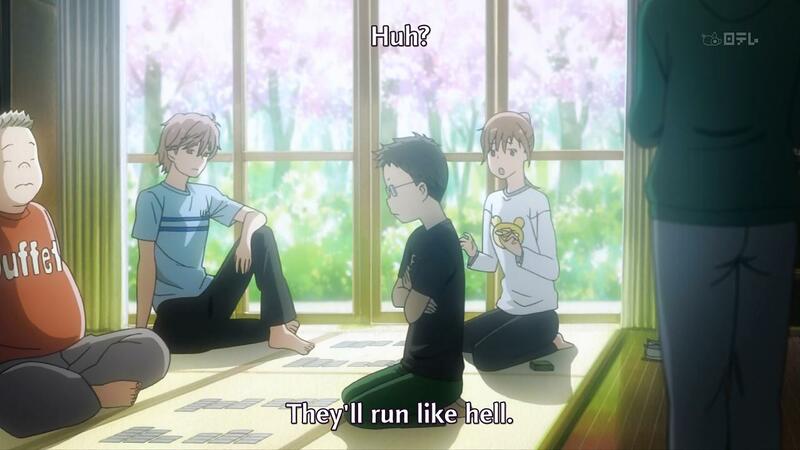 Still, I think Taichi will find a way to get Class A before the qualifiers for the Master Tournament. With Arata going for the Western qualifiers, I’m expecting a Taichi vs. Arata finals for an epic face-off. It’s tournament day! 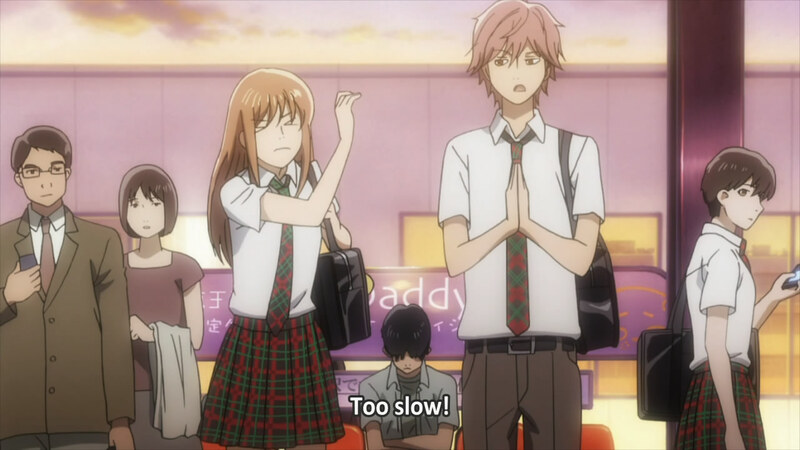 Chihaya struggles to control her speed, but continues to use her reflexes. She starts to realize that her opponent is strategically making the game harder for her, and tries to adopt her timing for herself. However, Chihaya ends up losing. Meanwhile, the Class B finals end up being between Taichi and Nishida, and the Class D finals end up being between Kanade and Tsutomu. Chihaya takes the change to watch and learn from Kanade and Tsutomu’s respective styles. 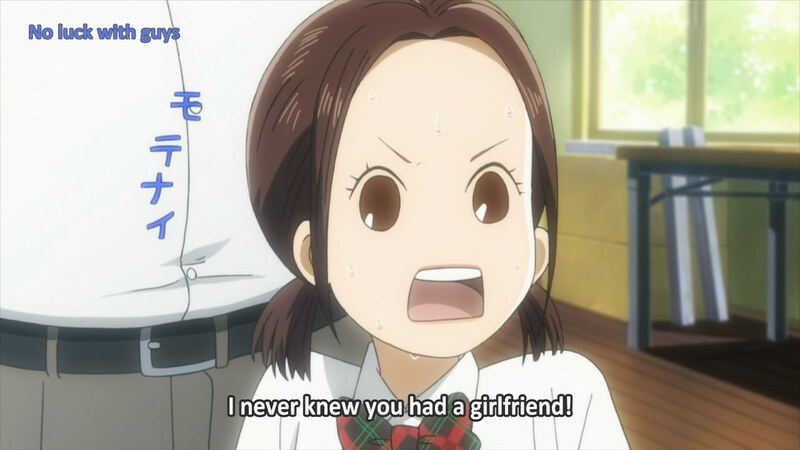 So Chihaya ends up getting owned again. However, the focus drops away from her this week as it looks more into Kanade and Tsutomu, who have been fairly ignored up until this point. Although Tsutomu’s strategy is more my style, it’s lacking in that it works best against opponents he has played before. Meanwhile, Kanade’s style is creative and interesting, but not something I would try for myself. The matches definitely look interesting. I could predict the outcomes of the matches, but I’m guessing by the 50-50-90 rule that I would get both wrong. It’s really up in the air at this point. So after the random recap episode last week, this week’s episode starts off with the school festival.With that done, everyone gets back to karuta, each focusing on progressing through their respective classes. Tsutomu starts to feel behind everyone else, but some reassuring words from Kanade cheer him up. Taichi goes to a tournament pretty far off, but is surprised to find Nishida there as well. Nishida and Taichi both end up losing at the tournament, though. Meanwhile, back at home, Harada notices the number of mistakes Chihaya makes and asks her to stop using her speed to take cards. After hearing Tsutomu and Kanade put their own personal spins on karuta, Chihaya tries to change up her style to rely less on her speed. Taichi instantly breaking up with his girlfriend was absolutely priceless. Now he’s available for Chihaya…wonder if he’ll be able to make a move. 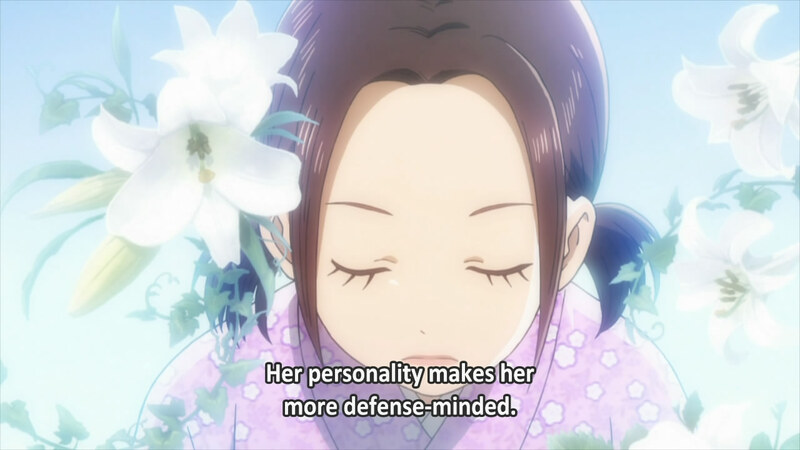 Everyone seems to be maturing in their own ways from their experiences in the karuta club. I like where the show is going…Chihaya always winning on speed was a bit annoying. I like the immense amounts of strategy that Taichi throws into his game. And now that I know Tsutomu’s style, it’s also a pretty cool way to go at it. I understand that things are winding down and everything, but I would’ve been pretty annoyed if this was a filler episode like it looked at the beginning with the school festival. I wonder when Arata is coming back into the picture. Guess we’ll have to wait and find out.